Just south of the Texas Medical Center off 288 and Highway 6 lies Meridiana, the phenomenal new 2,700-acre community in Iowa Colony and Manvel, Texas. MANVEL/IOWA COLONY, TX (October 7, 2015) – The development team of Meridiana has unveiled its plans for Houston’s first master-planned community with outdoor learning labs, created in collaboration with local educators, where students of all ages can study the earth’s movement, the solar system, principles of gravity and velocity, wildlife habitats and more amidst an unprecedented community of new homes. Located at Texas 288 and the future Meridiana Parkway (now County Road 56) south of the Texas Medical Center, the new 2,700-acre master-planned community will be unrivaled in its commitment to education for all stages of life, according to Dan Naef, president of Rise Communities, developer of Meridiana. “When we studied the local market, what stood out most was the enormous opportunity for an education-based community, particularly one close to the Texas Medical Center,” notes Naef. Working closely with faculty of the Alvin Independent School District, the development team will create engaging learning and discovery experiences, each with dedicated websites, as part of Meridiana’s first phase. Each of the experiences will be designed to fit into the District’s curriculum for students from kindergarten through high school. In Galileo’s Lab, fixed outdoor features will allow students to study weather, water quality, the solar system, gravity and velocity. The setting with shaded, outdoor classroom space also will feature birdhouses, butterfly gardens and fauna at the water’s edge. Two other learning labs in Meridiana’s Amenity Village, a sky map and the community’s signature 60-foot Meridian Tower, will demonstrate the sun’s movement in relation to the earth. The sky map’s Solstice and Equinox lines will track the sun’s movement while the Meridian Tower will operate similar to a sun tower by casting a spot of sunlight on the ground that moves as the Earth rotates. The Meridiana conservatory will serve as a greenhouse where teachers can present curriculum on photosynthesis and plant identification. “Meridiana provides Alvin ISD teachers with another educational tool that ties into their curriculum at every age level,” says Naef who adds other learning labs will be added in the community’s second phase. Besides its commitment to creating a one-of-a-kind, education-based community, Meridiana will be home to 5,500 new, single-family homes by David Weekley Homes, Highland Homes, Perry Homes, Plantation Homes, Ryland Homes, Shea Homes, Taylor Morrison Homes and Trendmaker Homes. Meridiana’s homesites will range from 50-100 feet in width, including 80 and 100-foot homesites in several gated sections. Plus, Meridiana’s homesites will be five feet deeper than those in other master-planned communities. Meridiana’s Amenity Village will feature a Welcome Center, fitness center with children’s play area, family pool with cabanas, splash pad, poolside café and a shady, hillside amphitheater for movie nights. Amenities will include catch-and-release fishing, kayaking and a trail system connecting Meridian Elementary School, opening for the 2016-17 academic school year. “Hands down, we will have the best amenity package of any community in the Texas 288 submarket,” says Naef. 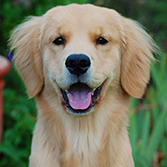 Meridiana also will be home to Soliel (French for sun), a trained Golden Retriever who will serve as the community’s office ambassador. Besides appearing at community events, Soliel will periodically invite residents to spend the night in his swanky, 40-foot Ambassador’s Yacht, part of Meridiana’s Amenity Village. Meridiana’s impressive entry will feature a two-story LED-paneled artist wall showcasing various images behind a curtain of flowing water. A temporary on-site Welcome Center and homebuilder sales offices will open Saturday, October 17 while construction of Meridiana’s first model homes is expected to begin in November. Individuals can go to www.MeridianaTexas.com to sign up for e-mail updates on the latest news and information as the community is developed. Also, follow Meridiana at www.Facebook.com/MeridianaTexas and on Twitter and Instagram at @meridianatexas. Rise Communities also is developing the Katy master-planned community of Cane Island.